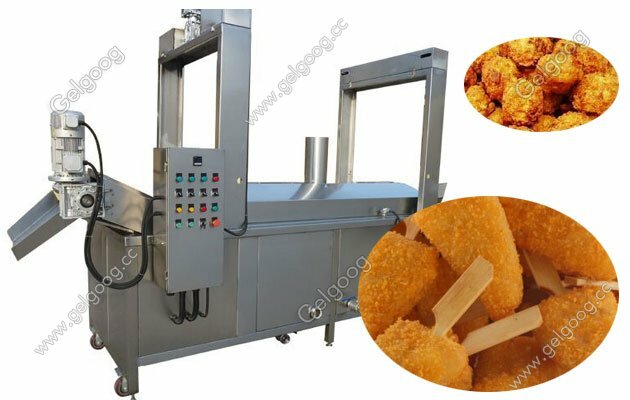 The type continuous food deep fryer machine is mainly used to fry food, like potato chips, French fries, peanut, meat burger, chicken nuggets, etc. 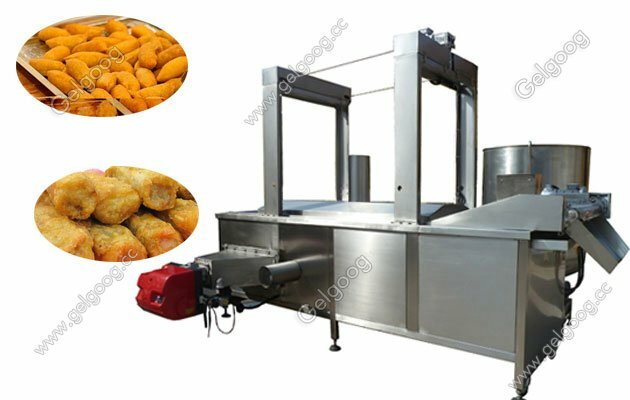 Continuous Food Deep Frying Machine Saving Energy The type continuous fried food frying machine is continuous working, with high working speed. It is automatic feeding and dischargeing. this kind of continuous food deep fryer machine is mainly used to fry food, like potato chips, French fries, peanut, meat burger, chicken nuggets, etc. Why choose our Continuous Food Deep Frying Machine? 1:Electrical snacks fryer machine as a whole is made of SUS304 stainless steel +PLC touch screen control structure, beautiful appearance and easy operation, more upscale. 2:Special sizes can be produced according to customer’s demand. 3:Oiling:General Speaking,user can add the oil 3cm higher than the upper net belt,the oil level can be below the upper net belt if the frying material is not floating. 4:Setting temperature and start the switch of heating, the burner will work.when the temperature of oil rise up to 60 degree centigrade, Open the net belt drive system. 5:When the temperature of oil rise up to setting temperature, burner will stop work,users can put the food into the fryer, Little and uniform. 6:Frying time can be set up by adjust frequency of transducer. 7:The snack food deep fryer machine adopt wheel in place, after fryer spotting, setting bolt high off the ground 3-4mm. Our company specializes in the research and technical ability of food equipment manufacturing, sales of their own food processing machinery, in the domestic and foreign market to provide thoughtful after-sales service. 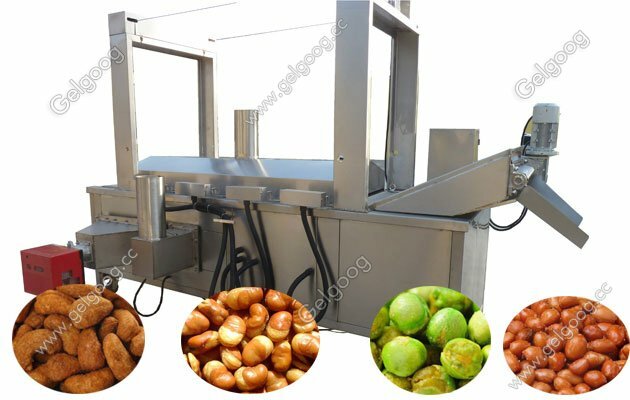 The main products of our guangzhou gelgoog company include frying machine, nut processing equipment, ice crea, cone equipment, vegetable processing equipment and other equipment. Whether it is pre-sale or after sales service, we have a professional team to serve you. Contact us freely if you have any problem.